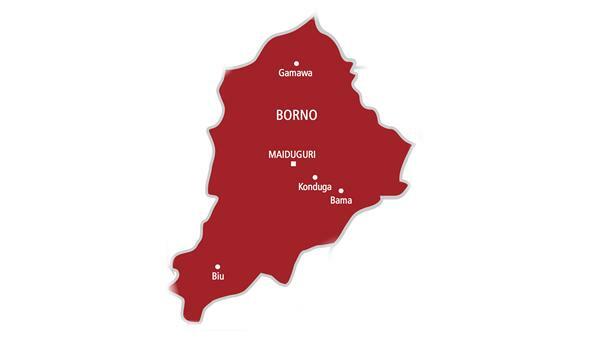 The Islamic State West African Province, said to the deadlier arm of Boko Haram, has hoisted its flag in the Magari area of Lake Chad in the northern part of Borno State, prompting the Nigerian Air Force fighter jets to bomb the location and killed scores of the terrorists. The ISWAP flag was reportedly sighted on two buildings in a hideout by a NAF Intelligence, Surveillance and Reconnaissance platform on Sunday, after which the military called for air strikes on the buildings. Our correspondent learnt that the air task force of Operation Lafiya Dole conducted the strikes on the area. Also, scores of the terrorists were reportedly killed during subsequent bombings by two Alpha jets deployed in Magari. The NAF Director of Public Relations and Information, Air Commodore Ibikunle Daramola, said the flag indicated that “some high-level ISWAP leaders and fighters” were present in the buildings and therefore the Alpha jets were deployed to strike the insurgents. Daramola said, “The Air Task Force has significantly degraded an ISWAP terrorists’ hideout and neutralised some of its leaders and fighters at Magari on the fringes of Lake Chad in Borno. This was accomplished in an air interdiction mission on Monday. “Credible intelligence reports indicated that some senior ISWAP leaders arrived at the settlement on Friday along with some of their fighters. An ISR mission confirmed human activities in the settlement with a prominent ISWAP flag observed near two compounds. “Accordingly, two NAF Alpha jets, supported by an ISR platform, were dispatched to attack the identified compounds within the settlement. Overhead the target area, the bombs resulted to the destruction of several structures, which were seen engulfed in flames. Several of the terrorists were also neutralised in the process.